The Earth lies in ruins in the aftermath of an extraterrestrial invasion, the land devastated by a desperate war with no winners between mankind and a race of vicious, intelligent creatures. The seas are drying up while the atmosphere corrodes and slowly cooks any life remaining on the now desolate rock. Food is scarce, trust even more so, and the only people left alive all have done horrific things to stay that way. A generation starship can hide many secrets. When an Executive clan suspects Oichi of insurgency and discreetly shoves her out an airlock, one of those secrets finds and rescues her. Officially dead, Oichi begins to rebalance power one assassination at a time and uncovers the shocking truth behind the generation starship and the Executive clans. With nods to Arthur C. Clarke's Rama series, the real science of Neal Stephenson's Seveneves, a touch of Hugh Howey's Wool, and told through echoes of Octavia Butler's voice, this is a powerful tale of space travel, adventure, discovery, and humanity that unfolds through a series of generational vignettes. In 2088, humankind is at last ready to explore beyond Earth's solar system. But one uncertainty remains: Where do we go? Astrophysicist Reggie Straifer has an idea. 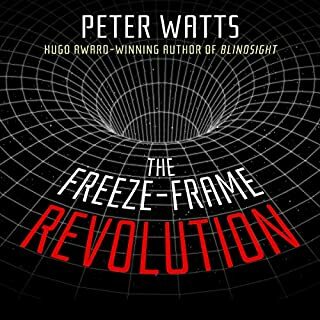 He's discovered an anomalous star that appears to defy the laws of physics and proposes the creation of a deep-space mission to find out whether the star is a weird natural phenomenon or something manufactured. The journey will take eons. In order to maintain the genetic talent of the original crew, humankind's greatest ambition - to explore the furthest reaches of the galaxy - is undertaken by clones. But a clone is not a perfect copy, and each new generation has its own quirks, desires, and neuroses. As the centuries fly by, the society living aboard the nine ships (designated "Convoy Seven") changes and evolves, but their mission remains the same: to reach Reggie's mysterious star and explore its origins - and implications. 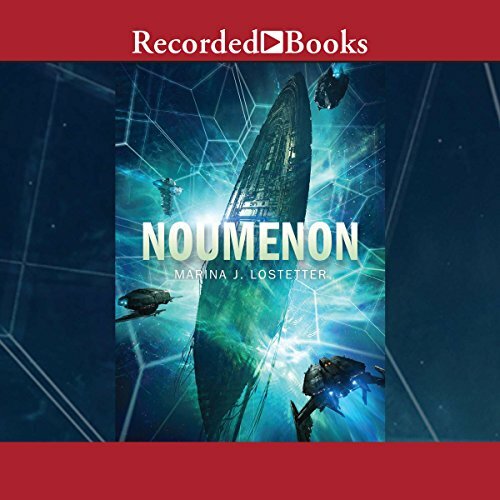 A mosaic novel of discovery, Noumenon - in a series of vignettes - examines the dedication, adventure, growth, and fear of having your entire world consist of nine ships in the vacuum of space. The men and women, and even the AI, must learn to work and live together in harmony, as their original DNA is continuously replicated and they are born again and again into a thousand new lives. With the stars their home and the unknown their destination, they are on a voyage of many lifetimes - an odyssey to understand what lies beyond the limits of human knowledge and imagination. 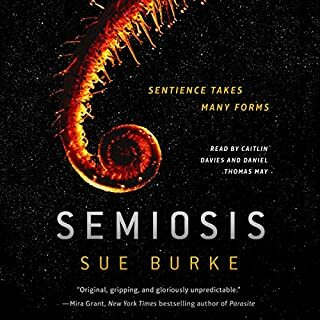 This is a story that spans millennia and incorporates exploration, AI and cloning among other interesting, if not new concepts, but unfortunately is hampered by an immature writing style. When I say the writing is immature, what I mean is that there was potential in the ideas. Unfortunately the dialogue was clunky and lacked nuance. We learn about characters' feelings and motivations because they baldly state them rather than living them out. I stuck around to the end of the book because I was hoping all of the disjointed elements were going to come together a la' Neal Stephenson and was ultimately disappointed because the story didn't really go anywhere new or very interesting. I want to be fair in this review, so let me say there may be a few factors that effected my enjoyment of "Noumenon". 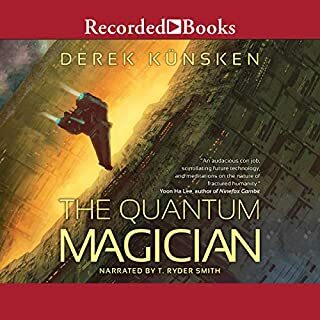 The first is that I purchased the Audible version of this book because the description touted it as having elements of Neal Stephenson's "SevenEves" and Hugh Howie's "Wool". Having enjoyed these books very much I was expecting a certain level of inventiveness, sensible scientific elements, interesting descriptions of daily life in the world of the novel, and likable characters. I think "Noumenon" suffers greatly by this comparison. There is little inventiveness, how the "science" or "speculation" in this fiction is expressed comes no where near Stephenson or Howie, and most characters were shallow and annoying. There is little depth in what descriptions there were of life during the mission or back on Earth. 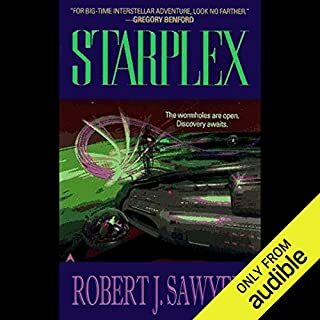 The second factor that likely impacted my impression of this audiobook was the narrator. She made half the characters sound like they were on the old Speed Racer Cartoon (think Spritle). Too many characters sounded too similar while the narrator also didn't keep accents or voices consistent within characters. Voice inflections were awful and often did not even match the emotion written clearly in the text. So if you do give this book a go I suggest reading it yourself and avoiding the audio version. Would you try another book from Marina J. Lostetter and/or Celeste Ciulla? no, she barely went into the whole premise of the book. Noumenon was what they were going to discover, but she took the easy way out and made it all about the human experience. If all I wanted is that, I'd read a non sci fi book. What could Marina J. Lostetter have done to make this a more enjoyable book for you? actually delve into the science or title of her book. she barely touched on the whole premise of the book at all. Would you listen to another book narrated by Celeste Ciulla? too mad to compliment this book. read this whole book waiting for anything to come of the main premise. nothing! horribly placed in the wrong genre. The story is great, but the narration drove me crazy. Lostetter's writing is superb and occasionally inspired. The quality is right up there with David Brin, and I definitely recommend this book as a traditional printed novel. But I have an issue with the narration in this audiobook. Ciulla is great with voices, the characterization comes through, she does the voicing of different genders well, and I never was confused who was the viewpoint character or who was speaking the dialogue. Everything would be just fine, but her cadence almost drove me to abandon the book. She has pauses in her phrasing mid-sentence that simply ruins the story. It gives so much of the narration an artificial sense to it, as if a computer were adding a fraction of a second to the space between some words in a sentence. Even when she is reading the perspective of an AI, it sounds off. It seems so obvious to me, that I think if Ciulla revisited her approach, she could correct this strange tic in her performance. It's almost as if she is having an issue with cue-pickup, but the lag occurs mid-sentence. I heard it also in a story she narrated, Ancillary Justice, which I did abandon specifically because the narration ruined the story. This story was an interesting combination of interstellar travel and sociology. I would have bought the hard copy had I seen it in a book store first. The narrator however made such odd choices in her inflection that I really had to fight through it to follow along. I had to give this just three stars overall for good story and poor narrator. Noumenon is ambitious in scope, the kind of science fiction that favors big ideas over action (although there's some of that too). 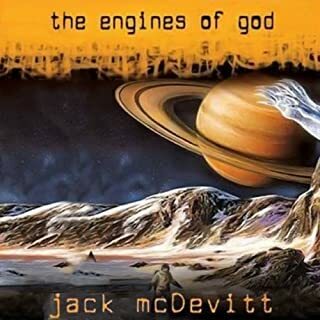 It's an engaging &quot;generation ship&quot; tale that explores questions about humanity, morality and artificial intelligence. I really enjoyed it. The story is told in a series of connected vignettes and, consequently, the point of view shifts from character to character. I thought Celese Ciulla fared better reading some characters than others but overall, she does a solid job with the narration. The concept was different, but not very well executed either by the author or the reader. It was painfully slow and completely unbelievable. The physics were appalling and some of the premises were absurd. The scale of the target star and the Dyson construction around it was never properly explained and there was a huge discrepancy between what the AI was able to do or not do at different places in the trip. I gave up with total boredom before the end! 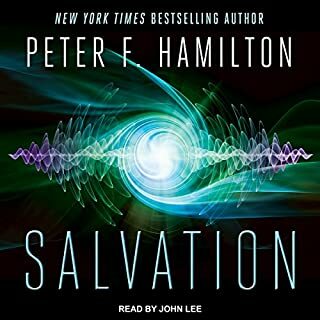 After listening to Noumenon for only a couple of chapters, I returned it to Audible for a refund. It just wasn't working for me. But a number of books later and after re-reading the many positive reviews, I decided to give it another try. 15 hours later, I can't say it was worth it. Not because the writing is bad (it's not) or the narrator is crappy (she's pretty good), but because of the missed potential ... the lie. I thought Noumenon was science fiction; a story about space travel and alien discovery. A multi-generational exploration into the unknown and how that journey might affect a crew or evolve its culture. But despite its cool cover art and alluring concept, Noumenon is none of those things. Instead, it's a collection of remarkably contemporary and almost entirely independent social dramas, like listening to the Lifetime channel on TV roll out one socially relevant family drama after another (in this case, most all focused on prejudice). Sure, it's credibly done and at times even interesting, but the whole "space journey" thing is mostly a plot device to jump us into and out of the lives of different generations of clones, so that new dramas about prejudice can be told. Again that's fine, it's just not what I was expecting. What quickly became frustrating was the author's complete avoidance to even explore the sci-fi back story with any real depth. Hundreds of years into the future, multiple generations of space travel, but no evolution in thinking, culture, science, technology (what, no drones? ), or any apparent growth within this self-contained and interdependent society. There's no sense of exploration, no tactical strategy, no intellectual analysis ... it's all just window dressing. And a lot of missed potential. I gave up on the Audible version and just read the book. The narrator’s tone and inflections would be better suited to a fairytale than sci-fi. I have alot of other stories like it. I was pleased that it was not like the rest. It was a good use of my time.